There's so much noise about "clean energy" and "green jobs" and "Obamacare"...oh, well, maybe not Obamacare, but it's tainted by the same brush these days, I'm afraid. I was talking with my cleantech colleague Scott Moon of Ernst & Young the other day at the ribbon cutting for Renmatix's new technical facility in King of Prussia, PA.
Renmatix has developed a technology that converts wood waste into cellulosic sugar for use in biofuels and biochemicals. It's not just an energy play. The world in which we live -- tech, manufacturing and service companies that are trying to disrupt energy, building materials, chemicals, and even finance -- is getting a black eye from a peanut gallery full of enemies. As if that wasn't enough, then came Solyndra, which was like getting hit by friendly fire as we were taking the hill. "We can't get a break," I said to Scott. "Good companies that have solid solutions and good products and even customers lined up out the door are being lumped into the rubbish bin of broken dreams." Even my pals at Fox Business are trash-talking the entire sector while attacking the President's policies and insider shenanigans. 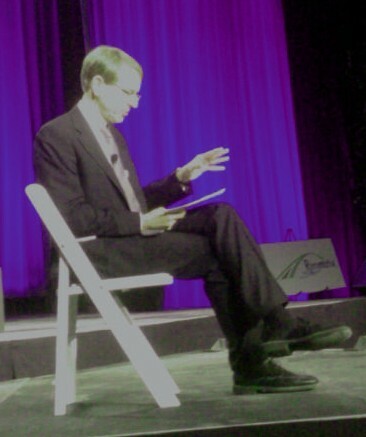 "We need to come up with a new name for 'cleantech,'" Scott said. "I can't get anybody to pay attention to it." Inside the spartan facility, Renmatix's presentation was beginning. John Doerr, venture partner at Kleiner Perkins Caufield & Byers, and a long-time advocate of and investor in cleantech, came on the stage to a rock music intro. It was a talk show entrance. He even did a Johnny Carson move to silence the music. "There were basically three revolutions over the past 30 years," Doerr related. "computer technologies: IT; biotech: BT; and now we have the third, energy tech or ET." "Energy Tech." With all due respect to Mr. Doerr or my brethren at Enertech Capital, who were prescient in being inclusive when naming their firm, I'm not sure that does it either. Sure you can lump stuff like "clean coal," natural gas, nuclear, and maybe even tar sands under the "ET" label, but wasn't that what "clean energy" was accomplishing over "renewable energy." At the end of the day, we really need to find not a new brand, but to make a better case for the energy technologies we need to power the future. The debate over whether we can make money in this stuff has started, but that's still too early. The real test is still a way off. Until we do make some green from green, however, we'll never see cleantech, clean energy or even energy tech become the new normal. And I just hope we don't get caught with the lights off one day. For every 50 fuel convoys deployed by the US military, one soldier dies or get injured. 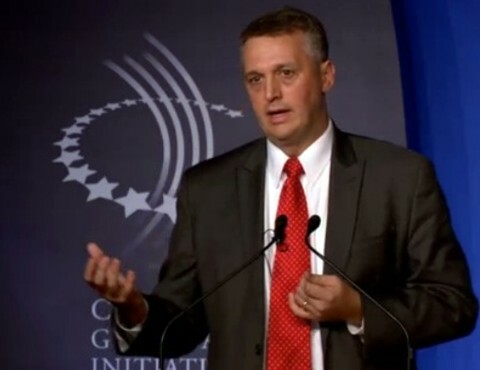 An astounding figure shared by Thomas Hicks, deputy assistant secretary of the US Navy for energy, at the Clinton Global Initiative meetings in New York Tuesday on a panel about innovations in green technology. The Navy, along with other branches of the military, recognizes the need to switch to alternative fuels both to reduce the risks in getting fuel into theaters of war and to reduce its exposure to price volatility. Last year, the Navy spent over $11 billion on fossil fuels and intends to reduce petroleum use by half by 2020, which could mean replacing it with as much as 8 millions barrels of biofuels a year. Con Edison has been promoting green initiatives for some time now, but certain problems impede their progress: dense urban environments are ill-suited to the promise of smart meter technologies, consumer behaviors are hard to change, and there are those pesky window air conditioners. I sat down today with Wendy Bounds of WSJ.com's new LunchBreak program to talk about solar leasing and two companies, SolarCity and SunRun, making solar energy generation more affordable for homeowners. I had a very stimulating conversation this morning with Kerri Miller of Minnesota Public Radio's "Midmorning" talk show about Solyndra, green jobs, and the state of cleantech manufacturing in America. Darren Samuelsohn, a senior energy and environment reporter for Politico, and Tim Greeff, policy director for the Clean Economy Network, were also on the program. 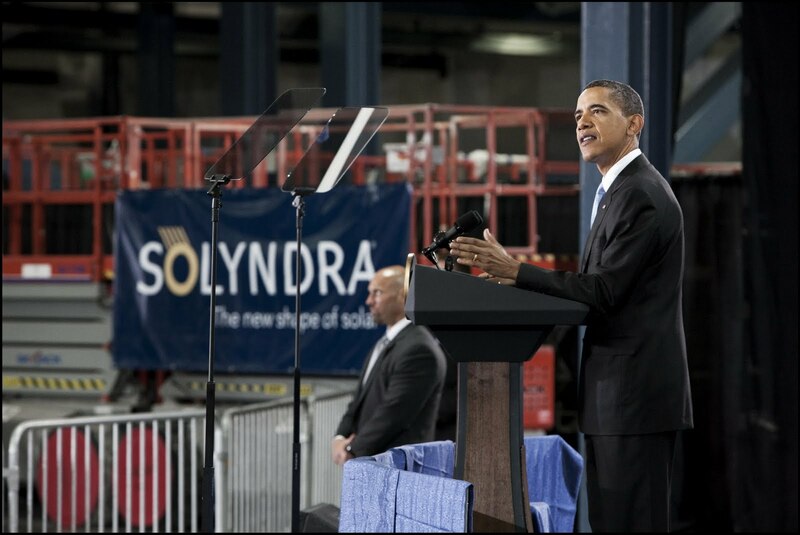 Solyndra Saga Continued: Did Obama Aides Grease the Wheels? The Solyndra saga just gets worse every day. This morning, The Washington Post reported that it had obtained emails from August 2009, that allegedly ask the Office of Management and Budget (OMB) reviewers to expedite the federal loan in advance of a press event announcing the deal. OMB officials apparently expressed concerns about being rushed to approve the company for the loan without adequate time to assess the risk. Bloomberg also reported on the emails this morning, noting that one email from an OMB official to a colleague in March 2009, which was earlier in the process for Solyndra's approval, claimed "This deal is NOT ready for prime time." "Solyndra was the first loan guarantee issued by the Obama Administration using stimulus dollars. Administration officials held out the company as a glowing example of how the stimulus was creating jobs and invigorating the economy," said the Honorable Cliff Stearns of the House Energy & Commerce Committee. The Committee opened its hearings on the Solyndra DOE deal this morning. "However, just two years after receiving this half of a billion dollar loan guarantee, and six months after DOE restructured the terms of the deal, Solyndra has closed its doors, laid off over a thousand workers, and filed for bankruptcy. Last week, FBI agents raided the facility. million loan guarantee to Solyndra," opined Stearn in his prepared statement. "we still have a major outstanding issue . . . . The issue of working capital assumptions has been a major issue repeatedly raised since December ." "The issue of working capital remains unresolved. . . . the issue is cash balances, not cost. [Solyndra] seems to agree that the model runs out of cash in Sept. 2011 even in the base case without any stress. This is a liquidity issue." Solyndra filed for Chapter 11 last month and laid off over 1,000 employees. "If Solyndra really is the 'litmus test for the loan guarantee program's ability to fund good projects quickly,' as DOE's stimulus advisor called it in an email to DOE officials," Stearn wrote in his prepared remarks. "I am very concerned about where the $10 billion DOE has left to spend before the September 30 deadline is going." Peter Thiel has an ongoing beef with cleantech. Thiel, in his seemingly annual fireside chat at TechCrunch Disrupt, told the audience, "With innovation in transportation and alternative energy forms stalled, cleantech investing has become a disaster that has scattered Silicon Valley investors and left the U.S. behind in terms of innovation," according to Matthew Lynley, writing in VentureBeat yesterday. "Cleantech is an increasingly large disaster that people in Silicon Valley aren't even talking about any more," said Thiel, an early Facebook investor, co-founder of PayPal and president of Clarium Capital. "The failure in energy and transportation points to a larger failure in clean energy — we aren't moving any faster, literally, than we were when modern airplanes first came out." "We need some­thing cheap­er, not more expensive," he said. "It doesn't mat­ter if the energy is cleaner, it doesn't work if it's more expensive." Thiel has ridden this horse before, as in a year ago at TechCrunch Disrupt and again last winter at the Commonwealth Club in San Francisco. That was before the Solyndra failure. The more he says it, the more it tends to sound...well, true. There are essentially three problems for VCs and cleantech: 1.) cleantech is often too capital intensive and technology dependant; 2. ) returns or exits, if they happen at all, tend to be in 7-10 years rather than 3-5; and 3.) when exits happen, they aren't as lucrative as what VCs see from other investments. I respect Thiel and like some of his ideas -- such as funding college students with good ideas so they can drop out to pursue them -- but he's got some odd notions about what will work in cleantech. Thiel told the TechCrunch Disrupt crowd that "one potential route for cleantech energies is to work with something that’s slightly more environmentally friendly than current sources — natural gas. It's a cheaper form of energy that's much more ubiquitous, and has less of an environmental impact than most energy sources today, but has not been harnessed." This ignores the environmental issues associated with fracking that are plaguing the exploration phase in places like New York and Pennsylvania, where the Marcellus Shale gas development has run into stiff opposition. Some focus on technologies to mitigate or eliminate those impacts may be a good bet or technologies to clean up coal use. Thiel also suggests that "entrepreneurs and governments should explore nuclear power options because they are more energy-efficient." But nuclear is even more capital intensive than most cleantech, unless you're talking about small-scale new units most of which are just not ready for prime time. No mention of the blurring of IT and cleantech/greentech, such as smart-grid or energy efficiency technologies that may be more conducive to a VC approach, but also companies that are involved in consumer financing for greentech solutions, such as SolarCity, SunRun or LVestus. So Thiel is partly right and partly wrong about cleantech. When Thiel is thoughtful and not glib, he's right to raise questions and criticisms. As you know, I believe a healthy does of skepticism can be a good thing. Even in cleantech. While cleantech VCs would do well to learn the art of losing, it's not (write it!) a disaster, to paraphrase poet Elizabeth Bishop. I couldn't agree more with Thiel when he says, "What's desperately needed in our society is companies that represent genuine progress, not just frantic change from one fashion to another." In my post Wednesday on Solyndra's bankruptcy I alluded to the fact that some people are questioning why the government took such a strong interest in backing this particular company with an expensive, risky technology. I wrote then that I'd leave it to the pundits. However, Thursday morning's reported FBI raid of the company begs comment. According to the Washington Post, "a House investigation is looking at possible White House involvement in Solyndra winning the loan, and said it has found evidence that White House officials were monitoring Solyndra’s status in the application process. The Department of Energy has asserted that it chose Solyndra through a competitive, non-political process." One of Solyndra's leading investors, The George Kaiser Family Foundation, is the foundation of Obama fundraiser and supporter George Kaiser. As reported by Bloomberg this afternoon, the foundation, "a charitable organization based in Tulsa, Oklahoma, and backed by donations from Kaiser, holds about 35.7 percent of Solyndra, according to a company filing with the Securities and Exchange Commission." "A Government Accountability Office audit last year found Solyndra was among a handful of companies that the agency awarded billions in loan guarantees before completing required reviews of their applications," reports the Post. Bruce Krasting of iStockAnalyst explored some of the Kaiser connection in a post Wednesday afternoon. At the very least, this situation doesn't pass the sniff test. What more will the FBI shine a light on? And what impact will this have on other cleantech companies? Stay tuned. The sun has set on Solyndra. The solar panel manufacturer, once the darling of the US Department of Energy, which bestowed its blessings in the form of a $535 million loan guarantee, is shuttered. Despite this guarantee, which some sources say was almost completely drawn down, and hundreds of millions of private capital from such stalwarts as Madrone Capital, RockPort Capital, the George Kaiser Family Foundation, CMEA Capital, Redpoint Ventures, US Venture Partners, and Virgin Green Fund, Solyndra has filed for bankruptcy and laid off over 1,000 workers. A gleaming, spotless new factory, a revolutionary new type of solar panel, and a government handout was not enough to keep Solyndra alive. Neither was more capital infusion by some of the initial investors last spring. Monday morning quarterbacks are second-guessing this investment in a company with an expensive new technology that was built on two big bets: that the commodity used to manufacturer its competition's solar panels – silicon -- would soar and stay high, and that their first-mover advantage in flat-roof installation would cover roofs all over the country with their technology. 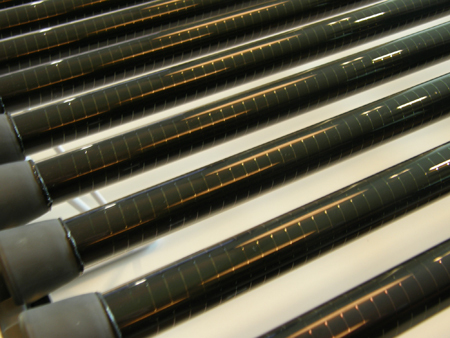 Silicon prices have fallen, causing the price of traditional photovoltaic panels to fall. This was good for consumers, if not manufacturers, and it certainly wasn't good for a company like Solyndra with a more expensive technology solving a problem that had just gone away. Oh, and the other problem they were solving? That was being met by cheaper solutions from competitors. Over the years, I've talked to many investors who shy away from companies with big, new technology risks. Risks are risky. They can also be expensive – and the more cutting edge the technology, the more capital-intensive it can be. It's very hard to pick the winning horse in such a race. Such bets are even harder to make if the technology has unique manufacturing requirements, raw materials, or R&D needs. In the case of Solyndra, apparently, they had all three. I'm not saying the government should have seen this perfect storm coming with a company like Solyndra. After all, the private investors don't seem to have seen it either. But the skeptic in me can't help questioning whether the government should even be in the business of picking winners or anointing companies. Rather, shouldn't they just make it easier for the market to sort them out? This, by the way, is exactly what happened with Solyndra. The market sorted. It did its job. Solyndra lost. Its investors did too. That's their job. They make bets and lose more often than they win. But what a shame that taxpayers have to lose along with them. There will be a lot of lessons learned from the Solyndra failure. I hope one of them – for government and entrepreneurs alike – is that government sticks to making the playing field open for business and getting out of the way. That seems a lot better than throwing a lot of our tax money away on a horse race.